Choon James: Mayor Caldwell, Stop Bullying Us in Federal Court! We bought our Hauula home in 1963. It was the model 3 bedrooms 1 bath home in the Kawaipuna Street subdivision. We used a whole month of my husband’s paycheck of $549.00 to pay for closing costs. We have raised 6 children in this home and some of them still live with us. I’m now 80 years old. I’ve worked hard all my life and do my part paying taxes. I worked every summer for the Dole company during high school. After high school, I got married and worked as a waitress at Pat’s at Punalu’u for 14 years. After that, I worked as a bank teller for the Bank of Hawaii and retired after 26 years. I also worked at Foodland in Kaneohe. I’ve been working at Foodland for nearly 18 years. I recently retired. I work very hard to make a living. This is our only home. When I‘m pau with work, I want to relax in my home in Hauula. I hope you understand why we are very mad at the City. It has no aloha for its working people. It spends our taxpayers’ money like it grows on trees. It does not use common sense. The city wants to relocate the Hauula Fire Station 25 feet in front of our home! They said they needed to relocate the existing fire station to a no-flood zone. It makes no sense because we also pay flood insurance in this new area. Getting out of the flood zone is not a good enough excuse. 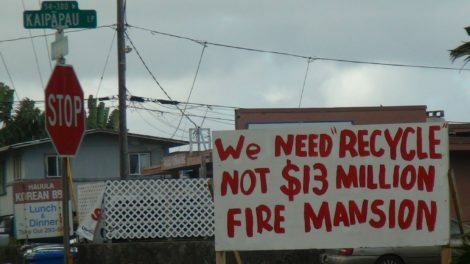 We think they just want to spend money because we have never seen the existing Hauula fire station flooded all our lives. Mayor Caldwell, you must also know that the city’s first choice for the fire station relocation was an acre of beachfront across Papa Ole. You cannot tell me that the beachfront property was out of the flood zone! The city did not follow and comply with proper procedures. We were the people most affected by this never knew about this fire station relocation. We were never consulted. Nobody sent us any notice. 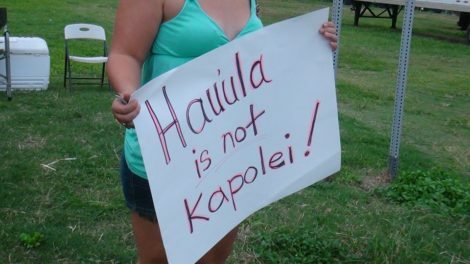 When we found out they were condemning land, we went to the Ko’olauloa Neighborhood Board meeting to protest. The Chair did not allow us to speak but Junior Ah You from Laie was allowed to speak for it. 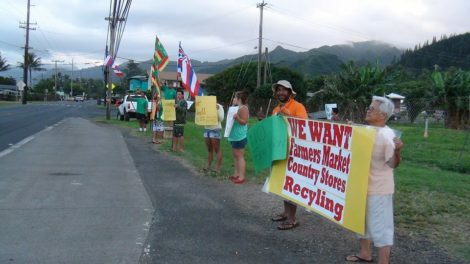 Many of us in Hauula sent letters to the city but were dissed by City Councilmember Donovan Dela Cruz. 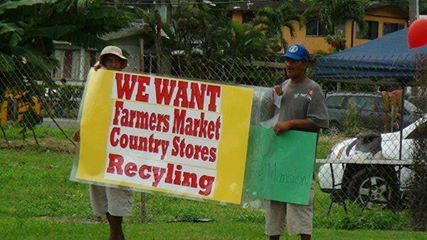 I think it’s really bad for the Laie Community Association to come over to Hauula and tell us what is good for us. They should take the fire station to Laie if they want another fire station so badly. They want to build a Marriott hotel and other homes. Why don’t they build a fire station in Laie and leave the one in Hauula alone? They want all the income projects in Laie while they force Hauula to have another new fire station that produces no income. Monopolizing is wrong. The Kawaipuna intersection is not a right location to put the fire station. Period. The area is already very crowded from the preschool and subdivision traffic. Many children and senior citizens live here. And the city wants to throw the big fire engines into this busy Kawaipuna Street and Kam Hwy intersection. What are they thinking? “You’re lucky to have a fire station next to you. Alice, if you have a fire, the station is next to your home, ” Junior Ah You from Laie said to me. If Junior Ah You loves a fire station so much, he should build it next to his home in Laie. We don’t want to live next to a fire station. We would sacrifice if there was no other choices. But there are many alternate places to relocate the fire station. The city can save money by renovating or tearing down the old one and build at the same location. The existing fire station is only 2 minutes away from this new site. The fire sirens can go off any time of the day and night. We will have big fire engines with bright lights shining right into our bedrooms and living room. Do you know how loud a fire siren sounds like? And they say there is no impact on us? Mayor Caldwell, it is wrong to treat working people this way. I work long hours and I do not have time to attend meetings in Honolulu. Mayor Caldwell, you must think of the people first. The bureaucrats under you are doing a stink job. How can they build a fire station in front of our homes and not even tell us? They want $13 Million to relocate the Hauula Fire Station. Only now they say it will not cost more than the $5 Million McCully Station. I was a bank teller. I can add and subtract. This is now a $8 Million mistake? I’ve been told the McCully was built on 19,555 square feet lot. The means the city can build on the half acre lot they already bought last year. Why continue to condemn another half acre lot in front of our home? Something smells very bad. Things do not add up. Mayor Caldwell, please fix this problem. Don’t bully us in the federal court. Things don’t add up. Something smells really bad. 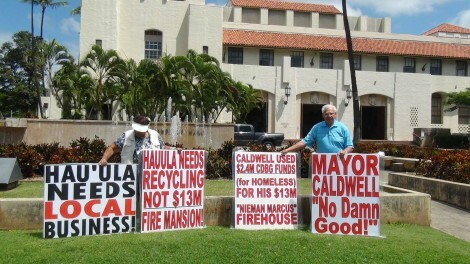 It makes no sense to build a new fire mansion in Hauula when we are all hurting in this bad economy. The firemen are more worried about their job cuts and pension funds and you still have furloughs. We are already paying for the rail we will not use. Please don’t burden taxpayers with more careless spending. Stop the project! It’s the wrong location. We should not build a fire station just to build a fire station. We don’t have problems with the fire services. The Kahuku, Kaaawa, and our Hauula fire stations back each other up very well. The Honolulu City Council deleted and defunded this project for over 5 years. Mayor Carlisle allocated $250K to study alternatives but nothing was done. Please use common sense and listen to our concerns in Hauula. Please work with us. We want to help you find a more suitable site that will make everyone happy and not waste taxpayers‘ monies. Please do the right thing for the people. 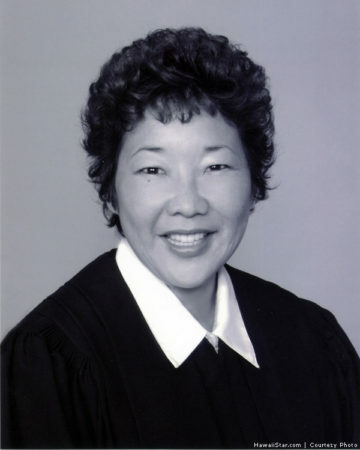 Alice Ubando was born in Kahuku Hospital and grew up in Punalu’u. She’s lived in her Hauula home since 1963.